I discovered Neo4j and became instantly captivated. Finding something that made data make sense, was fun, approachable, and easier to learn, I read articles and white papers, watched videos online… but it wasn’t enough. I needed to connect, with people, face-to-face. I wanted to listen and learn from peers, share ideas, collaborate and just be with others who shared the same feeling. Karin recommended something different – that I take over the D.C.-area meetup group. There had been a group in the area. As life goes, people get busy, things change and new leadership was needed to keep the momentum going. I accepted, and – let me be straight with you – I had absolutely no idea what I was doing. But I was excited, full of energy, and just wanted to meet others with a similar interest. Luckily, I wasn’t doing it entirely alone, as the previous meetup leadership, Eve Freeman and Geoff Moes, was willing to assist with helping me plan the next event. We rebooted the old meetup group with a new name, new meetup group page and a new GRAPHTITUDE (too cheesy for you? I like it! Ha). 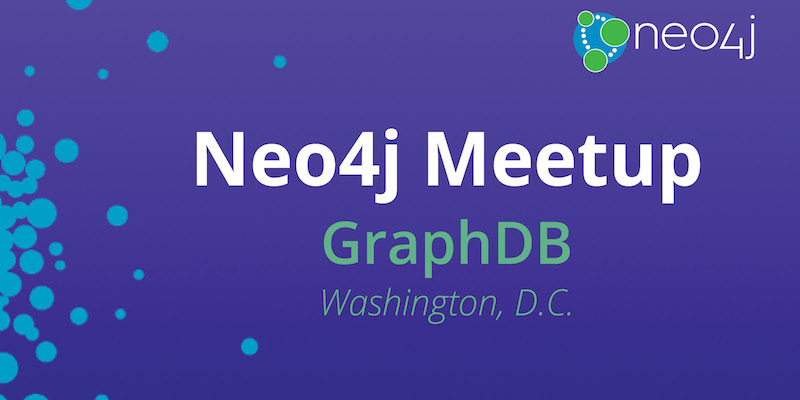 The first meetup would be a simple introduction to graph technology, a Neo4j presentation and a short workshop. Pizza and drinks would be served. We would have a brief introduction to the new group and those in attendance. I would give the Intro to Graphs and Neo4j presentations. A local Neo4j engineer, Dave Fauth, would provide a short workshop, walking through sample Cypher queries to get started. We would have a brief discussion, clean up and go home. A massive thunderstorm rolled through the area in the early afternoon bringing threats of flooding to certain areas. Unfortunately, some last-minute, work-related issues prevented the Neo4j engineer from attending. The elevator at the venue required a key fob. About 10 people in all showed up (around 30 or so had RSVPed). And I gave the only presentation of the evening after realizing I was trying to reinvent the wheel instead of using the resources at my disposal. The meetup was great. As soon as people were arriving, I began asking them questions about what they did, where they were from, how they were using Neo4j and anything else that came up. I had always figured the meetup would be rigid and organized. When I gave the presentation, however, I opted to allow a dialog and questions as we progressed through the different slides – and, it worked! Our group began to talk and ask questions. We even had a 5-10 minute discussion and debate about whether a person should be modeled as a node itself, or a property of a chair node. (Spoiler: It depends on what you’re trying to answer). Just like that, the first meetup was done. I’m really excited for the next one. Have fun! Don’t put too much pressure to make everything perfect. Even with the best planning things can and do go wrong. All you can do is roll with the punches and laugh a little. Meetups function better as a team-building exercise rather than a superhero mission. You can do everything if you want, but it is more fun and less stressful when you let others help you. Don’t reinvent the wheel. Use the resources you have at your disposal. Realizing what your limitations are makes you wiser and better. Organizing and attending meetups are fun! It is natural to congregate and be around others that share in your interests and enthusiasm. It is scary to take the lead and make things happen, but the feeling of having fun with others trumps that by a long shot. Lastly, to paraphrase Karin, do meetups that interest you. Whether it be the topic of discussion (World Cup, algorithms, fraud detection, etc. ), or the structure of the meetup (lightning talks, brainstorming, hack-a-thons, etc. ), people will want to go to meetups that you yourself are interested in. People want to share in your excitement and also tend to not share cool ideas if they think no one else is interested. And here is another first: This is my first-ever blog post about my first-ever meetup. No matter how it turns out, I am pretty proud that I did it. Interested in running a meetup locally? Email us at community@neo4j.com. 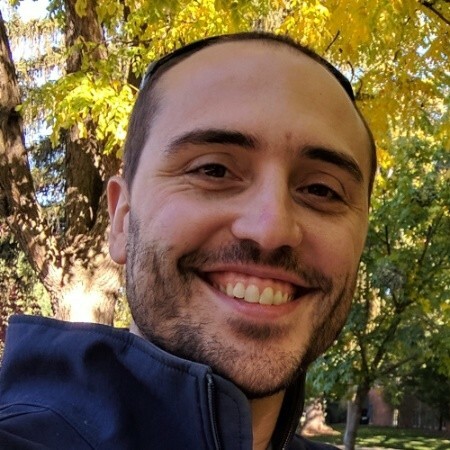 Michael McKenzie , Project Engineer, Encompass, Inc.